From Aleppo to Tokyo, this week in photos. A general view of the Basilica of La Sagrada Familia on Oct. 26, 2015, in Barcelona, Spain. 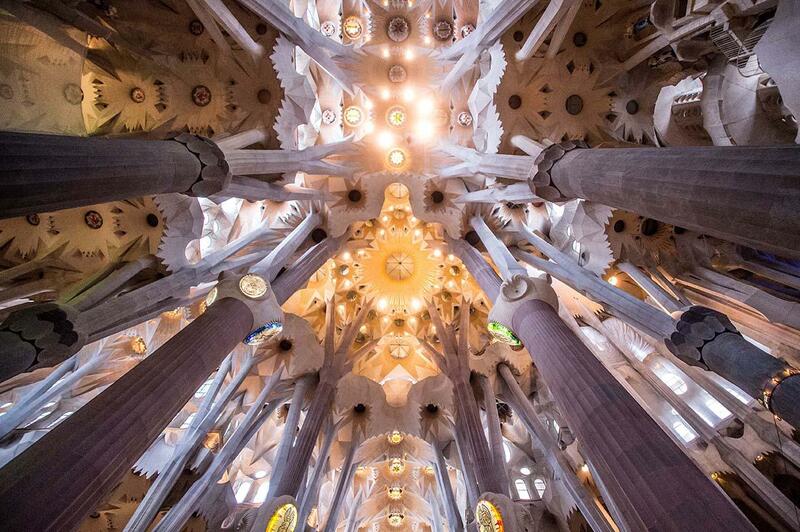 La Sagrada Familia Foundation announced on Oct. 21 that the temple has entered the final construction phase. The first stone was laid on March 19, 1882, following the neo-Gothic design drawn up by the architect Francisco de Paula del Villar y Lozano, the first architect of the Sagrada Familia. Antoni Gaudí took over the design of the Sagrada Familia in 1883 until his death on June 10, 1926, in a traffic accident. According to La Sagrada Familia Foundation, the temple could be finished in the first third of the 21st century. 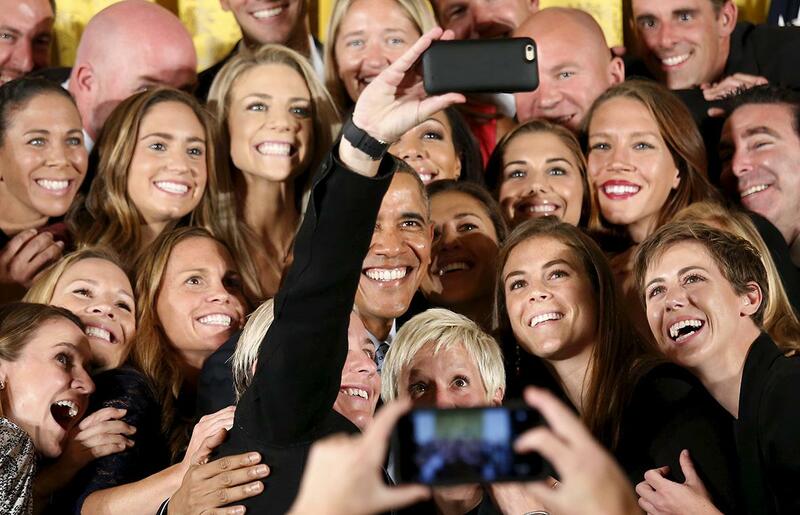 President Barack Obama poses for a selfie taken by veteran star player Abby Wambach as he welcomes the United States Women’s National Soccer Team to the White House in Washington, D.C., on Oct. 27, 2015, to honor their victory in the 2015 FIFA Women’s World Cup. 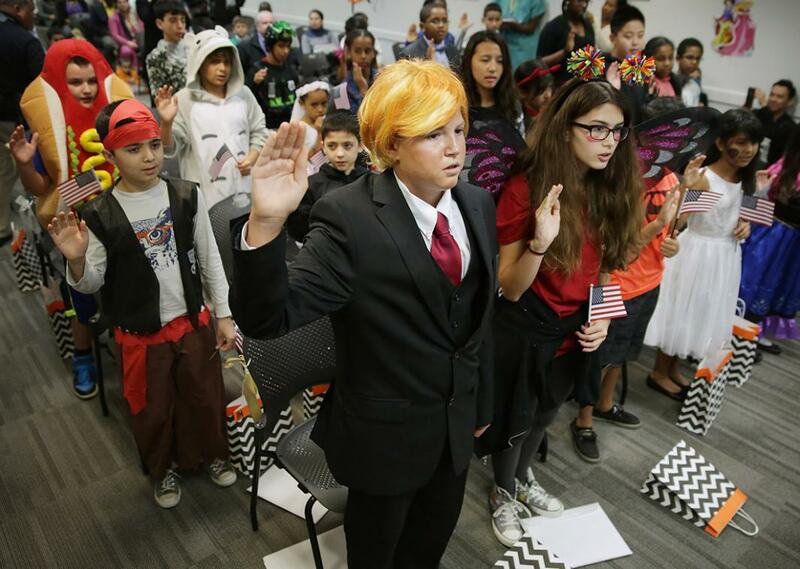 Dressed as Republican presidential candidate Donald Trump, 13-year-old Razvan Godja (center) and 26 other children wear Halloween costumes as they take the Oath of Allegiance during their naturalization ceremony at the U.S. Citizen and Immigration Services Washington Field Office on Oct. 30, 2015, in Washington, D.C. Godja, who was born in Romania, and the other children became some of the United States’ newest citizens on the day before heading out for the American tradition of trick-or-treating. 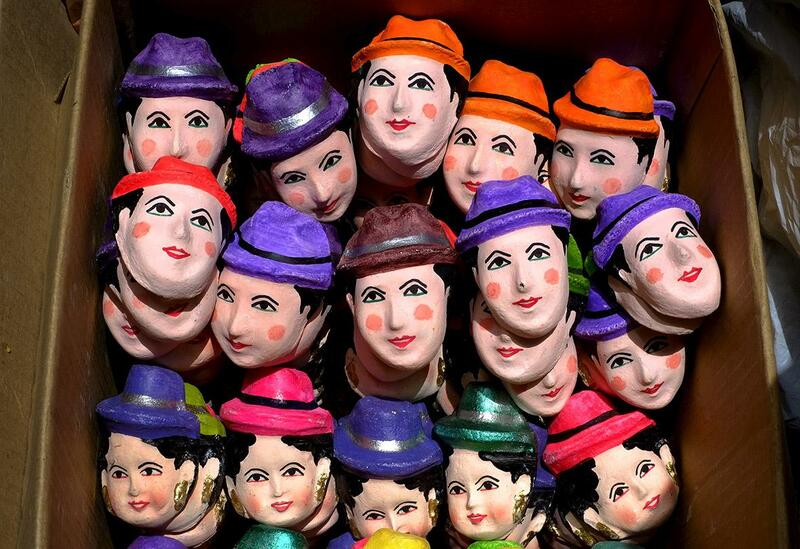 Masks of T’antawawas (children’s bread) are displayed in a popular market of La Paz, Bolivia, on Oct. 27, 2015. Residents have started to prepare offerings for their dead relatives as part of the All Saints’ Day celebrations. 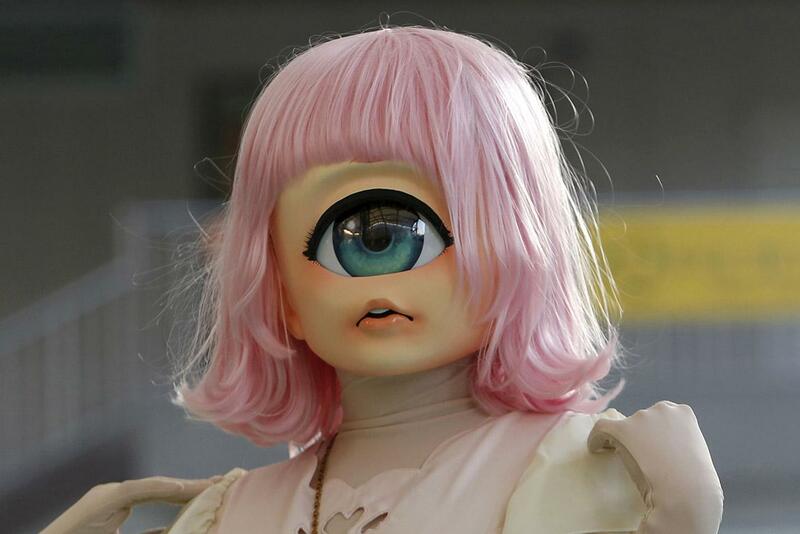 A participant in costume poses for a picture after a Halloween parade in Kawasaki, Japan, on Oct. 25, 2015. 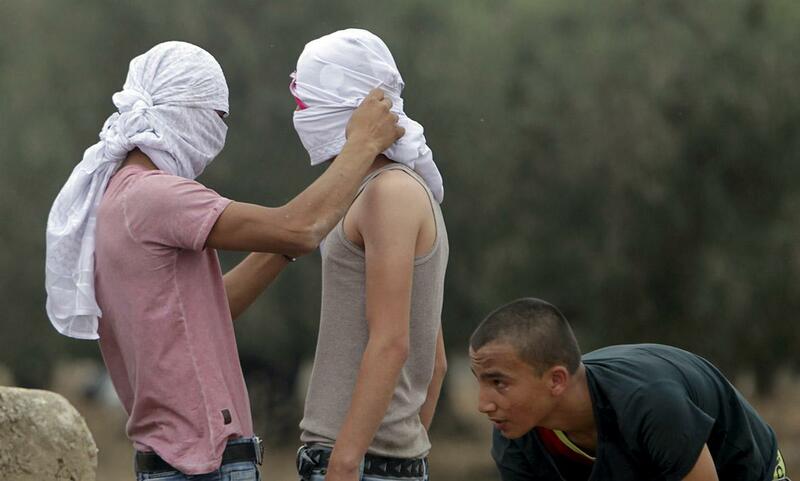 A masked Palestinian protester helps a comrade cover his face during clashes with Israeli troops in the village of Yabad near the West Bank city of Jenin on Oct. 23, 2015. Palestinian factions called for mass rallies against Israel in the occupied West Bank and East Jerusalem in a “day of rage” on Friday, as world and regional powers pressed on with talks to try to end more than three weeks of bloodshed. 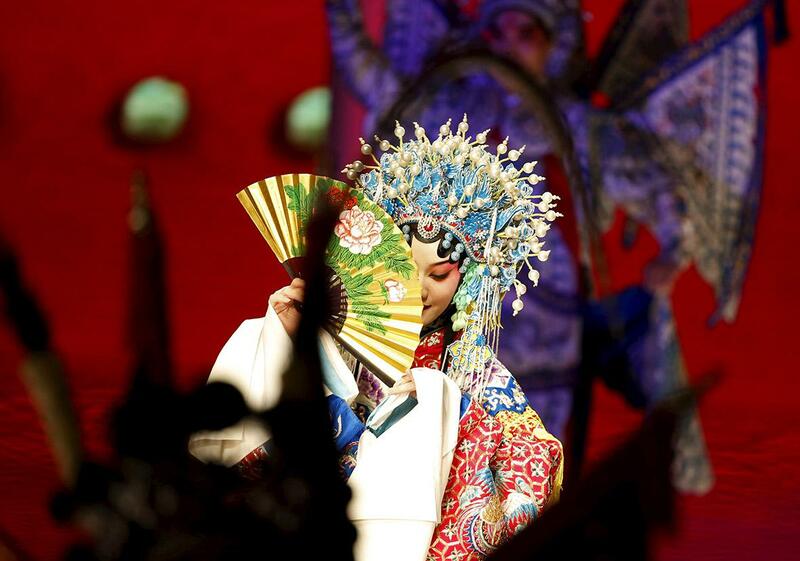 A Beijing opera actress performs at NE-TIGER Haute Couture Collection show at China Fashion Week in Beijing, on Oct. 25, 2015. 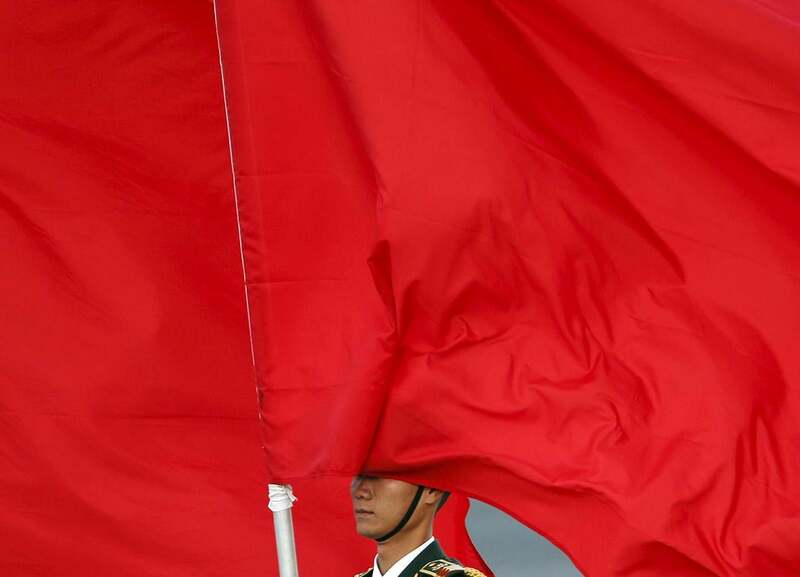 An honor guard is partially covered by a flag that rolled after a gust of wind at the welcoming ceremony for Netherlands’ King Willem-Alexander outside the Great Hall of the People in Beijing on Oct. 26, 2015. 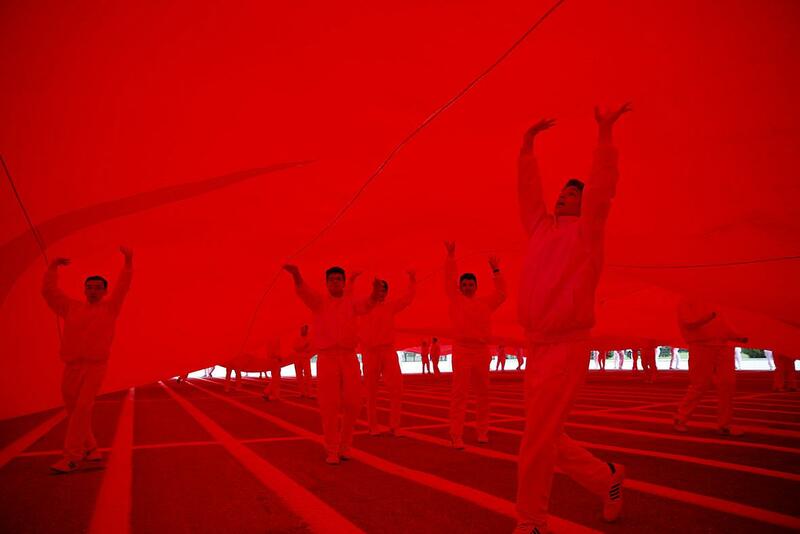 Students march under a huge Turkish flag during a Republic Day ceremony in Ankara, Turkey, on Oct. 29, 2015, marking the 92nd anniversary of the Turkish Republic. 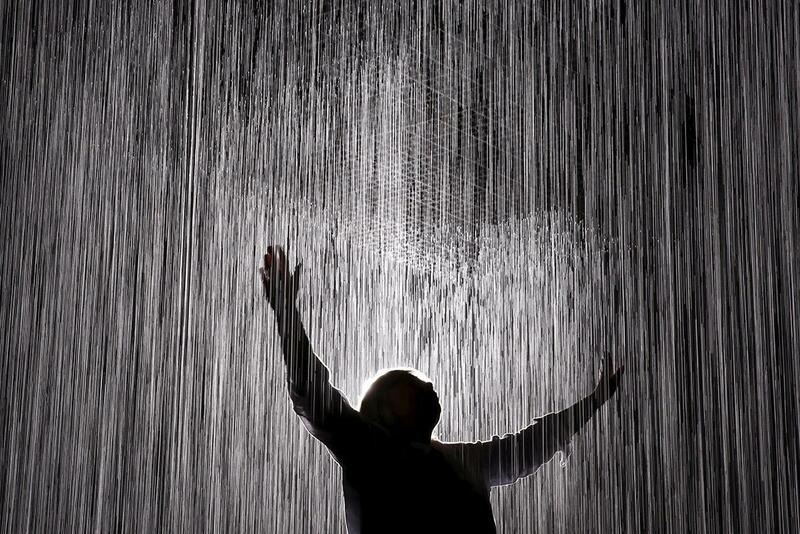 People walk through the Rain Room at the Los Angeles County Museum of Art in Los Angeles on Oct. 30, 2015. The art installation was created by London-based arts collective Random International and uses 528 gallons of recycled water. 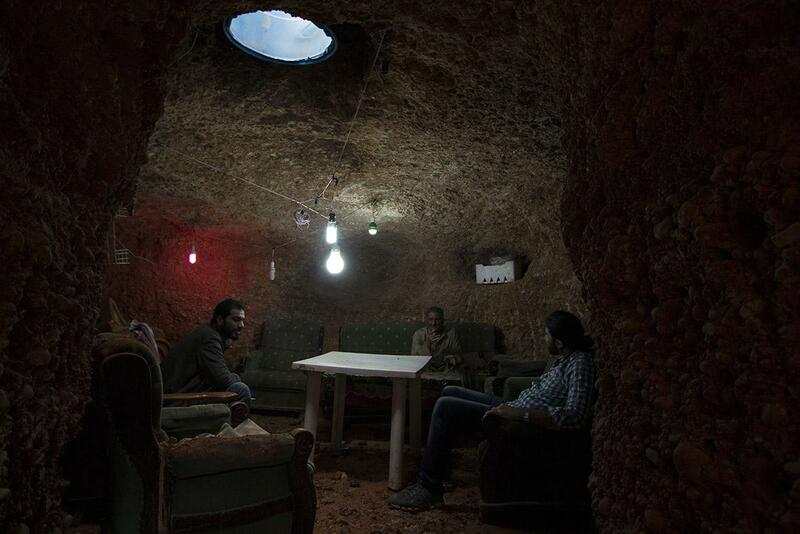 Abu Amer (center), a former well driller, sits with family members inside their underground shelter in a southern suburb of Aleppo, Syria, on Oct. 29, 2015. Abu Amer has been building the shelter for the past year. It will include four rooms equipped with ventilation and lighting, and is expected to be completed in the coming months. 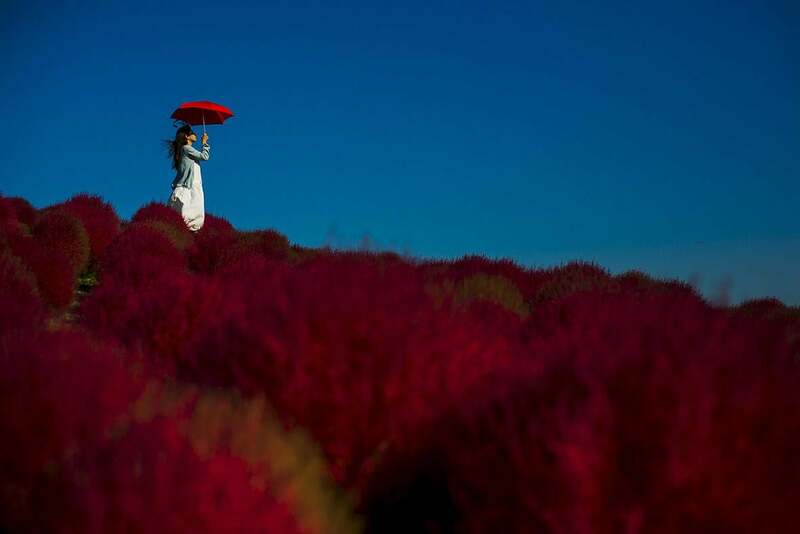 A woman holds a parasol as she stands in a field of fireweed, or Kochia scoparia, on a sunny autumn day at the Hitachi Seaside Park in Hitachi, Japan, on Oct. 26, 2015. 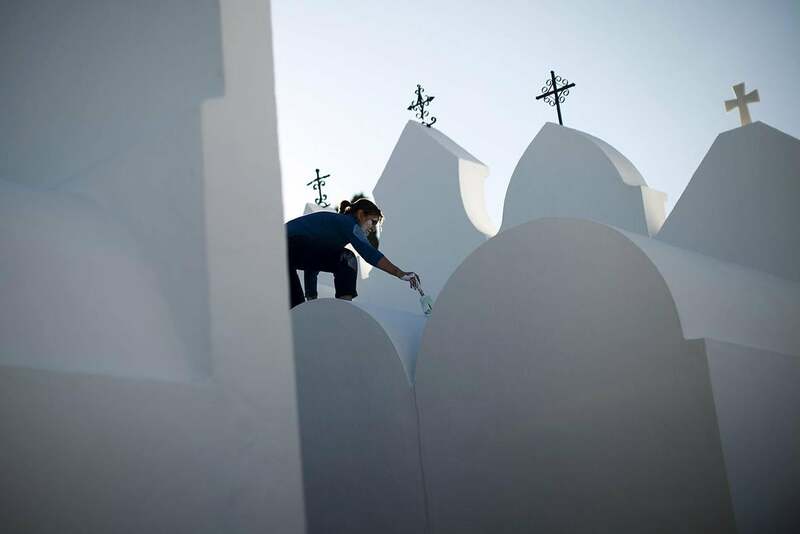 A woman paints mausoleums at a cemetery in Casabermeja, near Malaga in southern Spain, Oct. 30, 2015. Catholics will mark All Saints’ Day on Nov. 1 by visiting cemeteries and graves of deceased relatives and friends.